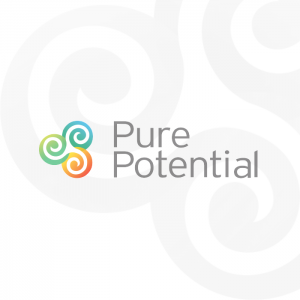 Pure Potential Development is a leadership and management development consultancy established in 2000 by Olwyn Merritt. Neville Merritt serves as Director of Operations. The company works with senior executives, directors, high-potential individuals and teams at board level in major blue-chip companies and fast-growing small- and medium-sized businesses to develop their people to deliver even greater value to their organizations. As business leaders with successful track records, we combine our first-hand commercial and leadership experience with consulting and coaching skills to achieve great results with our clients. Many of the teams we work with are in a state of change, either structurally or enhancing performance. We bring a practical, not just a theoretical approach to our clients. We work as a business partner, and design our programs to integrate with your strategic objectives. We have worked with our clients for many years and seen the tangible rewards through our systematic approach to development. We specialize in the high tech, pharmaceutical and financial services sectors in the UK, mainland Europe, North America and Asia. Our clients include Microsoft, Oracle, Dell, Abbvie and HSBC. Pure Potential works with leaders with deep professional expertise who want to excel as leaders and evoke excellence in those they lead. They also work with teams to mobilize efforts to achieve more with greater speed and efficiency. Director Neville Merritt outlines a plan for igniting team’s performance and engagement by using game psychology. He explains how these five attributes of games also apply to the workplace: Autonomy, Mastery, Purpose, Progress and Social Interaction. Pure Potential consults for some of the biggest brands in the world, providing executive coaching and change management. The challenges and genuine outcomes documented in these case studies provide a view into Pure Potential’s approach.